A gorgeous micrography lithograph by David Yohanan, signed by the artist, created and printed in Jerusalem. This is the traditional Jewish blessing for one's children. It's also the blessing given by the High Priests (Cohanim) every Shabbat in Jerusalem. 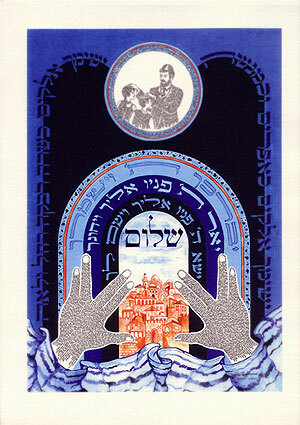 We see a father blessing his children with his hands on their heads and we see the Cohen's hands with Jerusalem in the background and a talit (prayer shawl) in the foreground. The blessing in the center is from Numbers 6:24-26. 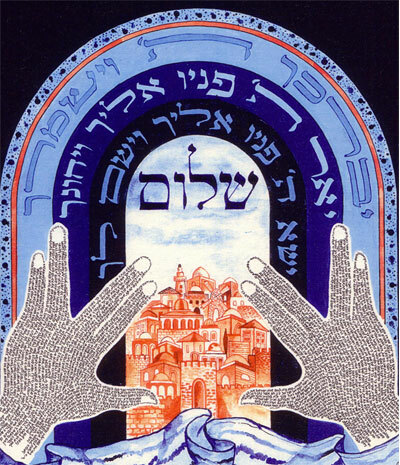 It translates as: "May Hashem bless you and safeguard you. May Hashem make His countenance shine upon you and be gracious to you. May Hashem turn His countenance toward you and grant you peace." 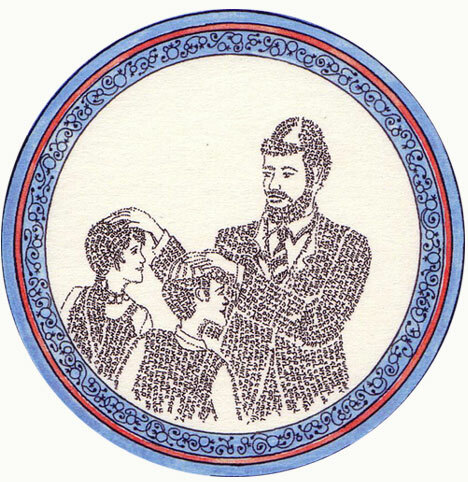 On the right hand side is the blessing for boys "May Hashem make you like Ephraim and Menashe" and on the left hand side is the blessing for girls "May Hashem make you like Sarah, Rivka, Rachel and Leah." This is a wonderful addition to any home or in a children's room. It's also a great bar/bat mitzvah gift or a gift for a newborn.